Always make sure there are better players than you in the band because they’ll encourage you to learn something. With R.E.M., Mike’s an amazing bass player, Bill’s a really great drummer, and Michael’s a great singer. I had a style, but I wasn’t technically super-competent. I learned a lot about harmonies and chord structures. It just seems that, whenever I’m working with people, there’s always someone I can look at and pick up a couple of ideas. No matter what I’ve accomplished in the past, when I evaluate myself as a musician it really depends on what I’m feeling currently. I tend to always try to stay learning. When I do things like play bass or guitar in someone’s band, I’m always figuring out how they put songs together. Even when I first started out learning to write songs, I just figured out other songs by the greats - The Beatles, The Rolling Stones - sometimes I had to look them up, sometimes I could figure it out myself. You don’t necessarily have to imitate someone to figure out what it is they do that you’re interested in. I only really write lyrics if I’m gonna sing. I’ve had three solo records; I’m not a very good singer. I’m a decent lyricist. I certainly knew I wasn’t going to be Jimi Hendrix by the time I was about 15. I know plenty of people who sang about my level with good bands and are much happier that way, but I always want to work with people who are great. I’m a really particularly good rhythm guitar player. That’s my job. I play guitar every day and write every day. I tend to sit with the guitar and try to come up with something. The Internet is particularly nice because if at three in the morning I want to learn a song I can usually figure it out - either find the chord chart or hear it. But mostly I’m trying to come up with something that is song-like, a piece of a music, a riff, chord changes, a melody against chord changes. If I’m near a guitar, I do that a couple of hours a day, and then there’s some days I work five or six hours. Ideally, you’re really prepared when you go into the studio. Sometimes things work better than others. I find that I like to rehearse a lot. Not in a formal way, where.. I don’t know how to describe it… I like to go in and play with other people, play the songs, but also mess around a little bit, try different ideas…? I don’t overplay the song but not well enough that you can get it on the first or second take. I’ve set my own deadlines, and I always stick to them. I’ve worked with a lot of people who can’t really do that, in the past, and it’s kind of frustrating ‘cos you’ve got to learn how to make it an interesting experience for everybody involved. I don’t like to spend endless time in the studio. I would do eight or nine-hour days six days a week for a couple of weeks and ideally, that should finish a record. 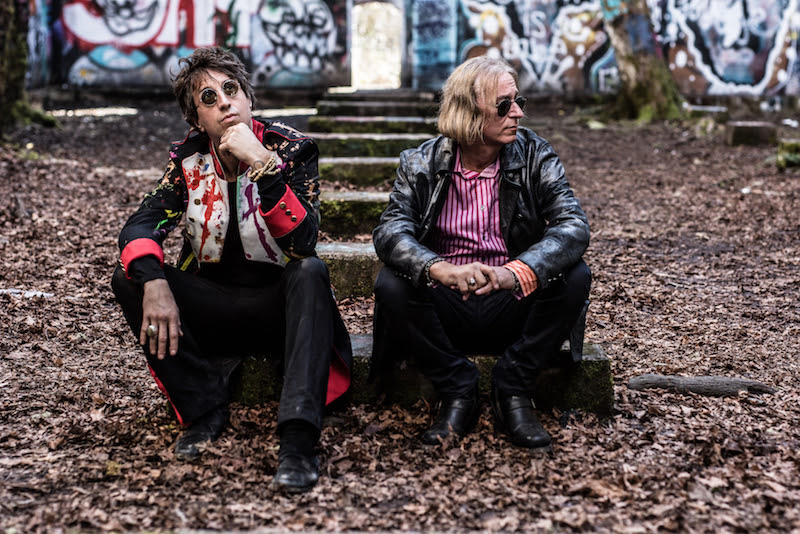 Joseph Arthur and Peter Buck's new album 'Arthur Buck' is out now.